Tools have great worth in every kind of business either that place would contact center, business center, professional IT Company, mechanic or key master shop. Effective tips and tools minimize the workload and enhance the efficiency level of managers, agents and employees to work seamlessly. A key master who is expert to unlock any kind of looks with effective tools and techniques. If one will be missing from either tools or techniques he will not efficiently open the look. The same method used in contact center management, managers needs effective tools and techniques to service customer and offer the best support service but all this will happen by techniques and tools. Contact center agents might be able to work without cloud software as they will dials manual numbers one by one, it might be possible but without system and headset, they will never to connect with customers. There is a penalty of contact center management tools list to improve contact center performance and service level as well. Below are some of the tools which help call center managers to operate exceptional without facing problems. If they will face some problems by these tools they could easily counter them. Do you (manager) know the preferences of your agents? Business center either inbound or outbound, agents dial and receive multiple numbers of calls in a single day. 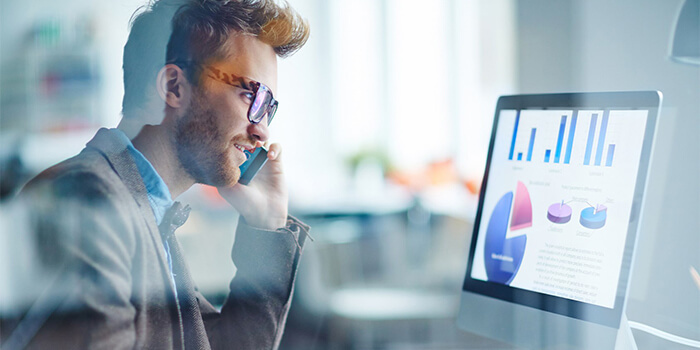 Contact center managers have not enough time to go one by one to the agents and get updates on daily reports of call frequency, sales pitch an important perspective of the contact center. How many agents are on live call, hang up their calls or any other call disposition. Admin Panel of Avatar dialler helps managers to do all up define task without leaving their seats at all. With the help of an admin panel supervisor could monitor all the time of agents workability in the contact center. Do your agents effort hard to serve your customers? Contact center innovation to serve customers of business and organization. Customer calls in the contact center to solve their problems face because of the business. If representatives of business mislead and misbehave with them and not compatible to fix issues business must lose their loyal customers. To find out how agents represent their business and how they behave and treat with customers, executives use Avatar recording portal to record the live calls of agents to check the quality assurance of calls and how agents solve the problems of customers. How managers make schedule for time zone restriction? Contact center management is not an easy job to do. They face many issues to solve and tackle during their jobs. Time zone restrictions vary in every country; monitor and verify when to call in which country is not easy. Avatar predictive dialler automatically set the time zone restrictions according to variation in different states and automatically detects when not to call in a restricted area easily. It helps contact center managers to tackle this problem as it is the best management tool for managers. Are your managers facing difficulties to train your agents? Coaching secessions to train contact center agents is not as much easier as it looks like. Sometimes managers provide services for outsourcing but face difficulties because of accent problem and failed to provide outsource services. Another fantastic tool for contact center management is Avatar dialler prerecorded American and British accent voice quality and web screen script display help agents to convey their product message and this feature minimizes the risk of communication gap and managers easily provide their services as outsource their business. Is your contact center management monitoring home agents? To monitor agents who are working in a contact center is easy but how monitor those agents who are the home-based or remote base. By using which tools and techniques managers can monitor remote agents, their productivity, their first call resolution quality and problems solving ability? Avatar has a solution to this problem to monitor home or remote based agents. Avatar Dialler software just needs to install in your system or android phone to operate easily. With the help of web-based administration, managers easily look into the agent’s status board, their first call resolution quality and check recordings for quality assurance no matter agents are office, home or remote based. These contact center management tools help managers to easily monitor representative’s staff and their productivity. How frequently they solve customer’s problems. Are customers satisfied with the agent’s performance or it becomes the reason to change customer’s loyalty from the brand? There are some contact center management tools defined in this article to tackle the issues face by contact center managers. Avatar Dialler has many other solutions and tools for management industry but some best tools define in this article.